Set Of Isometric 3d Arrows In Different Directions With Bends.. Royalty Free Cliparts, Vectors, And Stock Illustration. Image 110374688. 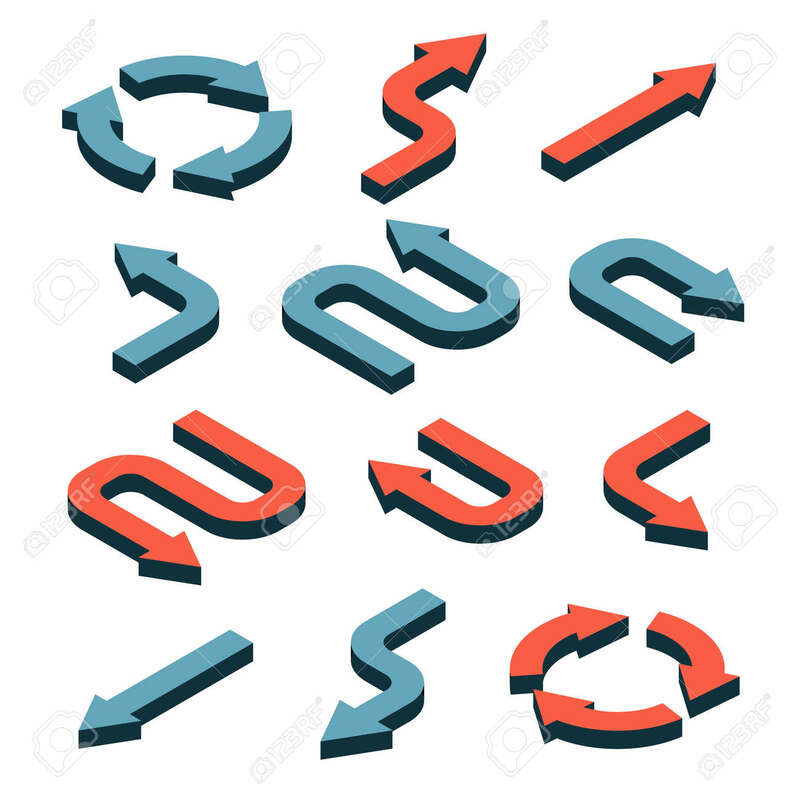 Vector - Set of Isometric 3d arrows in different directions with bends and curves.